Get them started while they’re young! Golf is a game that can take a lifetime to master. And, for many of us golf lovers, we regret not starting to learn to play when we were much younger. If you have children that are interested in the game, then giving them a set of the best junior golf clubs will help them learn and enjoy the game much faster. For children learning to play, the most important thing is to build their confidence, and make sure that they have fun while playing. Having a suitable set of junior golf clubs made for their height, weight, and strength will help them build confidence, and enjoy the game more. Before you know it, you may have a young PGA pro on your hands! To help you shorten down the list of possible choices here are five of the best junior golf clubs on the market today. Check out the list below. The Nike Golf Kids VRS Junior Golf Club Set is definitely one of the best golf clubs for kids on the market. It’s lightweight and aerodynamic, with a high loft design that will help your child launch the ball into the air with ease. Your child will love seeing his/her ball fly high into the air on each swing. The set includes a driver, 7 iron, sand wedge, and putter. The clubs are professionally constructed with lightweight graphite shafts and stainless steel heads. 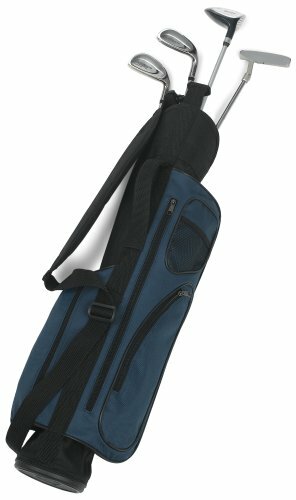 The set also comes with a lightweight carry bag, so your child and easily carry his own clubs around and feel like a pro. One downside is that these clubs are only currently available for right handed players. It may also feel a tad bit expensive for just four junior clubs. Overall though, the Nike VRS Junior Golf Club Set is easily one of the highest quality junior golf clubs available and will have your child itching to get to the driving range or golf course. It is ideal for children who are between 33 inches to 52 inches tall. 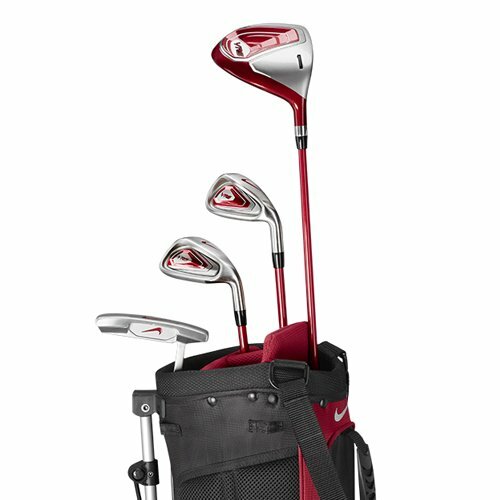 Buy the Nike Golf Kids VRS 5-Piece Junior Golf Club Set here! Now for players who are at a beginner’s level, the Intech Future Tour Junior Golf Set is designed specifically with you in mind. The set contains a complete set of putter, irons and drivers. It features a large 15 degree driver that helps generate maximum distance. The set also includes an exceptionally larger #5 and #9 irons if you need to really ratchet up the distance and trajectory. Also included in the set is a heel to toe weighted ceramic faced putter. Each club has a head cover, a mirror finish, cavity back and a wide sole which helps beginners learn the rope while being forgiving when it comes to errors. Each club shaft is made of lightweight graphite material. The Intech Future Tour Junior Golf Set is designed to help beginners develop their skill faster and is ideal for those who are looking to further develop their golf skills in the future. Buy the Intech Future Tour Junior Golf Set here! Another top-notch beginner’s junior golf club set, this one comes in 3 sizes: small, medium and large. The set will include the standard clubs that is ideal for beginners such as a driver, irons (2 cavity back design), wedges (blade style), putter and a hybrid. The shaft is made from lightweight graphite to make it easier for young ones to swing at full speed and strength with causing them to lose balance. Here are more details about the sizes and for what age bracket they are ideal for. Small is ideal for children ages 4 to 7 years of age, Medium size is best for 7 to 10 years of age and the Large set is best suited for child golfers ages 10 to 13 years old. 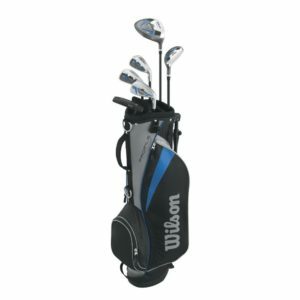 Buy Wilson 2015 Profile Junior Golf Set Complete here! Another beginner golf set, the Intech Lancer Junior features a 10 piece set to help introduce the child to the game. Each club, putter, iron features the best in modern golf technology. It comes with a 17.5 degree 4 point weight system driver. For those who need maximum distance covered, they can use the 4/5 hybrid iron (#7 and #9 irons) with wide soles for better accuracy. The junior putter utilizes a modern design and uses a milled polymer insert for a better feel with each swing. This is a lightweight set that is designed for beginners but uses top of the line technology to give them the edge they need. 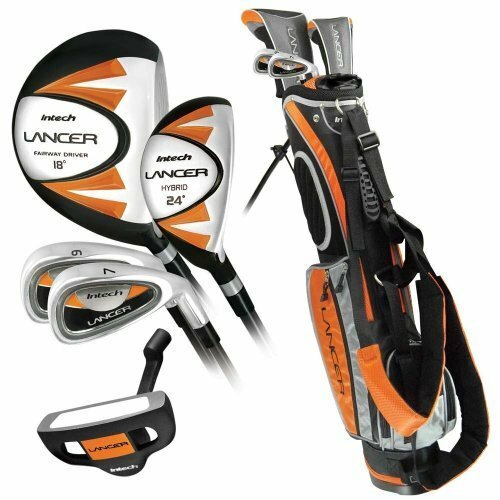 Buy Intech Lancer Junior Golf Set here! 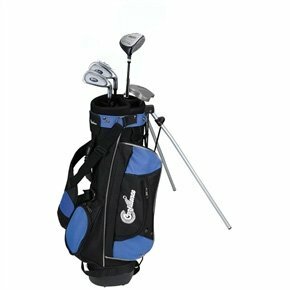 The Confidence Junior Golf Club Set is a fine choice for beginners as well. Prices vary depending on the sizes but this is one of the more affordable junior golf club combos available today. Made from lightweight material and is designed to help increase handicap, it is a great choice for an introductory golf set for kids ages 4 to 11. Buy Confidence Junior Golf Club Set here! When it comes to learning golf it is best to start young. These are the best junior golf clubs designed to be a welcoming introduction to this sport and are designed to make their experience every bit as enjoyable. The Best Womens Golf Clubs (Beginners) What is the Best Golf Carry Bag? What are the Best Cheap Golf Balls? What are the Best Golf Clubs for Seniors?